As Memorial Day passes and the last day of school approaches, summer is just around the corner. 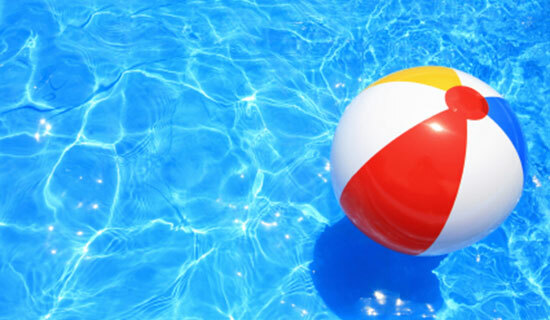 If you have a pool or plan to visit one, please check out our swimming pool safety tips. Drowning is the leading cause of accidental death for children between ages 1 and 4, and knowing what to do in case of an emergency could be the difference between life and death. Never leave children unsupervised. Most drowning accidents occur during a short lapse in adult supervision. If you're swimming at a public pool, swim only when a lifeguard is on duty. Keep children away from pool drains, pipes, and other openings to prevent them from being trapped. Make sure pools are enclosed on all sides with a self-locking, self-closing fence. Avoid horseplay and running near the pool. Never dive in shallow water—only dive where water is 6 feet deep or more and there are signs saying diving is permitted. Always keep a pool safety equipment toolkit nearby. This includes: a cell phone, a first aid kit, scissors to cut trapped hair/clothing, flotation devices, a pole, and rope. Make sure everyone using the pool knows how to use this equipment. Prepare all guardians and caretakers for an emergency by making sure they are CPR certified, have a phone nearby, and know how to call 9-1-1. And remember, if a child is missing, always check the pool first—seconds count in a drowning emergency. In addition to these safety tips, our law firm has compiled more statistics and other resources, including our newest infographic, to help you and your family enjoy an injury-free summer by the pool. "Staying Safe in Residential Pools." PoolSafely.gov.